The attack was witnessed and verified by farmer Colin MacFadyen who saw the eagles sparring in mid air. He later found the Golden Eagle carcase only a couple of feet from where the Sea Eagle was feasting on a newly killed lamb, one of a pair born only an hour or two earlier. Mr MacFadyen’s father Angus, who is NFU Scotland Environment and Land Use chairman said: “This incident is another stark reminder of the invasive and dangerous affects Sea Eagles have had in some areas since they were reintroduced in Scotland. “Sea Eagle predation of lambs is a serious issue for hill farmers throughout the west coast and the islands. It is our lives and businesses which feel the devastating effects of losing livestock to these apex predators with little to no recourse to stop it." “With Sea Eagle predation so wide spread and so frequent in these areas, it is difficult for farmers to maintain the century old tradition of self-sufficient hefted breeding flocks on these hill farms. “The native and iconic Golden Eagle, as we can see from this most recent incident, can also be seriously affected. A spokesperson from Scottish National Heritage said a post mortem examination carried out on the Golden Eagle showed its injuries were consistent with wounds inflicted by the talons of another eagle. 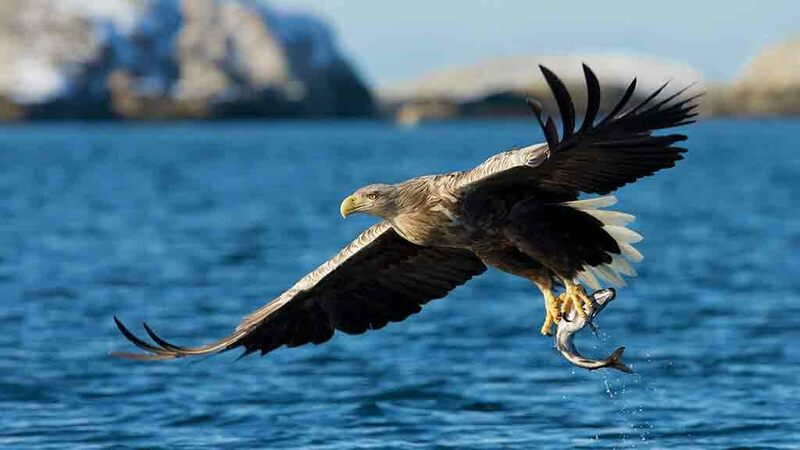 The spokesperson said: "Most of the white-tailed eagle population is found on Mull, Skye and the Outer Hebrides and the same areas also have important Golden Eagle populations. The 2015 national Golden Eagle survey showed stable or increased population in all three areas despite increases in white-tailed eagles. Natural England recently approved the release of 60 sea eagles on to the Isle of Wight. Farming organisations including the National Sheep Association have raised concerns about the impact the ’top-of-the-food-chain’ predators could have on farmers’ flocks.